What game for what age ? The game’s professionals that we interviewed were all wary about the type of age groups that are interpreted as the only ine. "Families are advised to not trust in informations age listed on the box of games, says Anne-Sophie Casal. Often for marketing reasons, the goal is to have the largest target as possible. "Parents are sometimes disturbed by the fact that the child is not able to play a game that is directed to his age, regret Carine Chauvet. But this has nothing alarming. "At Quai des Ludes, the notion of “level skills” permit to assess some areas of awaking areas is preferred. "The best way to avoid mistakes and choose a game that your child will like is to seek help from a professional who will know ask finer questions about the skills of child ', what he knows and what he does not yet ". In contrast, the term "prohibited under 3 years" demands to be respected: it is a safety standard. For Anne-Sophie Casal, she thinks that it is better to choose a game egual or slightly lower at the child skills at this moment, it will help him to build self-esteem and to move forward: "When we say that the child will be quite capable of playing with the game so have fun, is that it is a good choice." During the first two years, toddlers develop the five senses. It is advised to focus on sensory toys that involve touch in handling, seeking hearing by sound effects (rattle, tambourine, xylophone), view the movement and vivid colors. 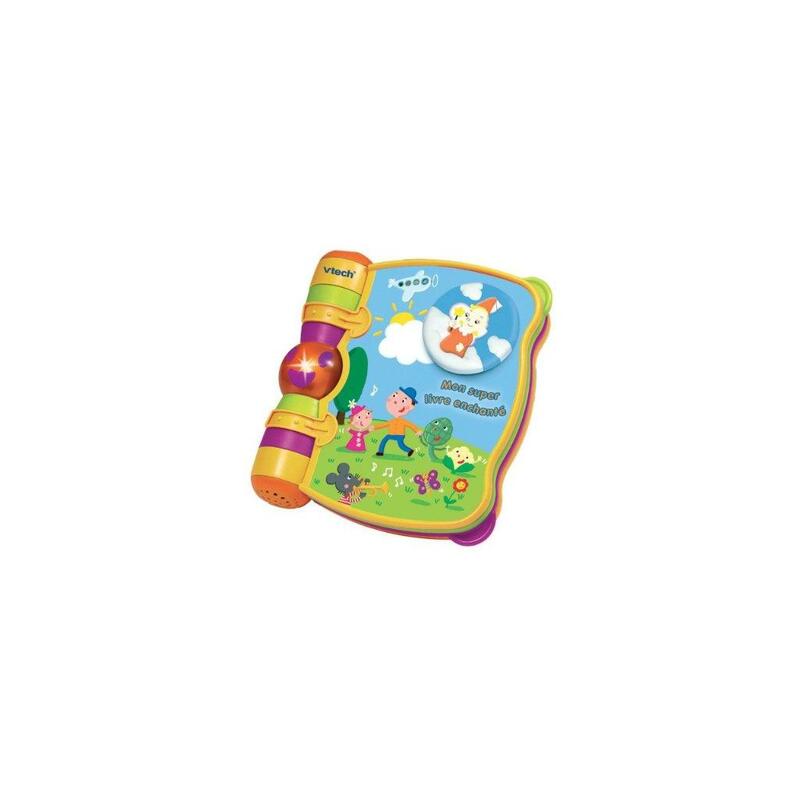 The engines are also toys to remember, because they help the child to become aware of his movements, his movements in space: swings, small tunnels, slides. "We tend to forget to play with infants, with children who do not sit up, says Alexandra Latouche. However, this is an age where there are many things to do. The 'cuckoo hidden' example of game with appearance and disappearance, entertains children. You can also lay your child on your stomach and have toys around him, and he will try to grasp them. It is good for working the curves of the back and neck, 5 to 10 minutes per day, no more. There is also the game that consist to attach a small bell around the wrist or ankle of the baby. By moving, guided by the sounds produced by the bell, he will understand the different parts of his body. Few minutes are enough. " 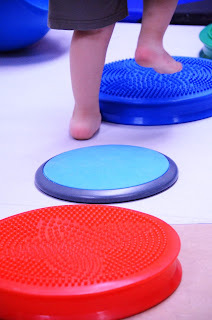 For children who sit up, games embedding and fitting can be offered and fine motor games in general. To continue with nesting games. At this stage, children organize construction operations. As soon as the child walks, you can opt for colored stickers, paint, play dough, the first puzzles games that build the mathematical mind and geometric. It also begins with symbolic games, role-playing and imitation: doll, dinette, to reproduce everything that happens at home and so tame everyday gestures. Games disguise and staging are emerging. The child invents but also embodies the characters. He uses figures as support for his stories. For more than 3 years, we can introduce educational games based on letters and numbers, depending on the sensitivity and awareness of the child. Board games are beginning with their more elaborate rules. We can start little earlier, provided to really play with the children, to explain and remember the rules throughout the game, to indicate whose turn it is to play, etc. The game without objects stimulates the imagination of the child. In this category we can include hide-and-seek, tell stories, recite rhymes and songs, the game of opposites, the game on different colors or body parts, games like "guess what I think" and for over 3 years, the famous "no yes and no no". All these games also help children to build their vocabulary and build their language. Article from Anne-Sophie JACOB, trainer for jobs related to games' and toys'. FM2J center. Play allow the child to discover and learn the world that stay around him. Through the game, he will can develop his motor functions, learn languages and communication, develop its reflexion sense, and globaly, the game helps to understand better the environment. A good way to grow up. Even if we have to let children play alone, accompany him in the game is essential. With the help of 3 specialists, we will zoom on attitudes and rules to adopt in order to build these moments of play like instants of intense complicity and stimulating learning. « "Play is essential for children, and more for children from 0 to 6 years old, says Carine Chauvet, toy librarian responsible for welcoming families to the game library Quai des Ludes. It is simply the way to discover the world for the young. "Anne-Sophie Casal, a psychologist specializing in child development at the National Training Centre for Game and Toy (FM2J), "This is because the child plays that he grows and he grows because he needs to play. By playing, he develops his « fine motor skills » and « global motor skills », cognitive skills related to language, to decentering, that is to say the ability to put themselves in the place of another through plays situations ". Not to mention the cathartic function of the game that allows the child to express his feelings, to liquidate conflicts, to compensate situations lived in everyday life. "There are plenty of things that ask children everyday, they need the game to put these things into action and grow up," said the psychologist. "Do not mistake about the goal of game : game has to remain a funny time. Of course, we can use funny tools to learn alphabet, numbers, to reading, but at this moment, we must be aware of that we are no more in the game register "says Carine Chauvet. Anne-Sophie Casal just co-sign the book « game of child from 0 to 6 years old », remembers that Aristote talked already about the game as a moment of relaxation necessary for learning and, as indicates J. Huiziga in Homo Ludens, "the game is free, free of charge and fictional" In a society that submits more and more young people to stress and social pressure, she believes that it is important to preserve the free playing time to suuport a strong and autonomous development of the child. Rule #1: do not expect result. It is a time that takes place alone, at two or more for fun, not a competition. Rule # 2: Respect the imagination of the child. Even if the fire truck change in dragon! Another principle to follow: do not take the place of the child, it must remain the master of the game. Help him to do what he asks, yes, but do not do it for him. "In the game, you have to leave the power to children," advises Anne-Sophie Casal, they do not have lot of power in life in general. This is the only place where they can exercise this dimension, and it is even more important to accept the frustrations encountered in their daily live. "Moreover, very often, the child asks an adult just to reassure, search for a benevolent presence. In short, make himself available but not intrusive. "The important thing is not the game itself or even the toy, but the way you play. The adult must invest activity, insists Alexandra Latouche, director of seven childcare center in Lyon. Through the game, what the child wants is to spend time with adults and being the center of attention. The purpose of the game is the moment of complicity created with the adult, which helps to strengthen the parent-child relationship. "It is the same version for Carine Chauvet:" the game is one of the preferred ways for adults to focus on the child. " Let's stop blaming: half an hour of play per day is sufficient, provided to be completely implicated on the game, and not to spend another thousand things at the same time." This is the quality listening and the time shared with the child who prevail and not its duration. As far as one of the research axis of our research center FM2J is Games and Handicaps, we have chosen to write an article on the Tip Box L by Artur Fischer Tip GmbH & CO. (réf. 49112). 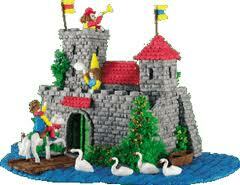 It is an adaptable, easy to use and resistant building set from our selection. Bright color sticks : red, blue, gree, yellow, brown, white, grey, ... (height 2 cm & diameter 1 cm), made of biological material with vegetated starch. The sticks' dampening develops the property of sticking together. This is a funny building game, light and enjoyable to touch. The sticks are made of flexible stuff and the sticking by moistening is very easy. The approximate adjustments enable, despite everything, to create strong and representative buildings. Thanks to bright colors, this building set is accessible to partially-sighted persons. This game can be used to stick and unstick endlessly ! This is a building set. To create typical buildings, the player appeals to his/her ability to track in space (above - under, left - right) and he/she chooses the sticks' color. The number of sticks enables the player to play on his/her own or with friends. Origins... where gaming begins ! As far as the Ludopole is a main actor in the games' and toys' world, we actively check the actuality in this sector. And the AAGAD is rewarding several companies for their board games. The prizes are divided into various uncommon categories.
" The Origins Awards are presented annually by the Academy of Adventure Gaming Arts and Design to recognize outstanding achievement in design and production of games and game-related products. The winners were voted at the Origins Game Fair in Columbus, OH on June 12th – June 16th. The nominees in each category were chosen by retailers at the GAMA Trade Show. 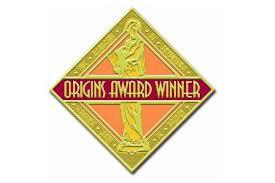 The winners were announced at the Origins Awards Ceremony on the evening of Saturday, June 15th. Flames of War: Open Fire! – Battlefront Miniatures, LTD. 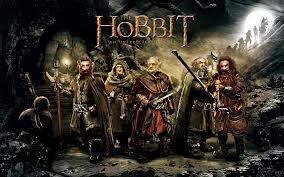 The Hobbit: An Unexpected Journey Campaign Start Set – WizKids Games"
As far as one of the research axis of our research center FM2J is Games and Handicaps, we have chosen to write an article on the enchanted book by Vtech (réf. 80-60805). It is an adaptable, easy to use and resistant toy from our selection. A plastic stiff interactive book constituted of 4 pages attached to a hinge. This is a kind of musical and luminous box.Each page has a big button to manipulate in order to trigger a song, which is associated to the page's theme. Open the interactive book, turn the pages and listen to the songs. Set off the sentences and the melodies in activating the image-buttons on each page. Repeat the songs. Each manipulation produces a particular sound effect , whether it be in turning pages thanks to thumbs or in pushing the image-buttons. Each button has its own action : push, lift, turn or lower. 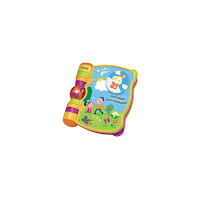 The use of this interactive book with its rigid pages is affordable for all. It is strong and easy to maintain. We have to highlight that this is an exercise, a sound and visual sensory game. This interactive book, sound and luminous, invite the child to repeat the gestures to master the melodies and obtain different sensory effects. These ones are really pronounced and the player is rapidly able to establish the causal link between its action, the music, the lyrics, and the luminous effects. This game is conceived for an individual activity but an adult presence is appreciated, especially to hum with the kid.